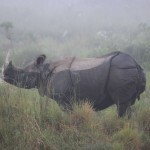 Arrive Kathmandu 2 Nights > Drive Nagarkote 1 Night > Drive Chitwan 2 Nights ( Wildlife Reserve ) > Drive Pokhara 3 Nights > Trek 3 Nights > Drive Pokhara > Flight Kathmandu 1 Night & Leave. Upon arrival in Kathmandu you are greeted with traditional flower garland by our Representative and transfer to your hotel. 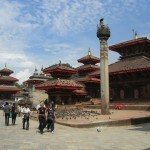 Afternoon, proceed on a sightseeing tour of Kathmandu, the capital of Nepal. Visit Kumari Bahal, the Temple of the Living Goddess, Kumari who is considered to be the incarnation of the “virgin goddess”. The temples, shrines and different sections of the palace are contributions of various dynasties over centuries and epitomize the religious and cultural life of the people. 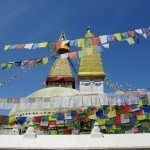 Continue further to Swoyambhunath stupa, situated west of Kathmandu. 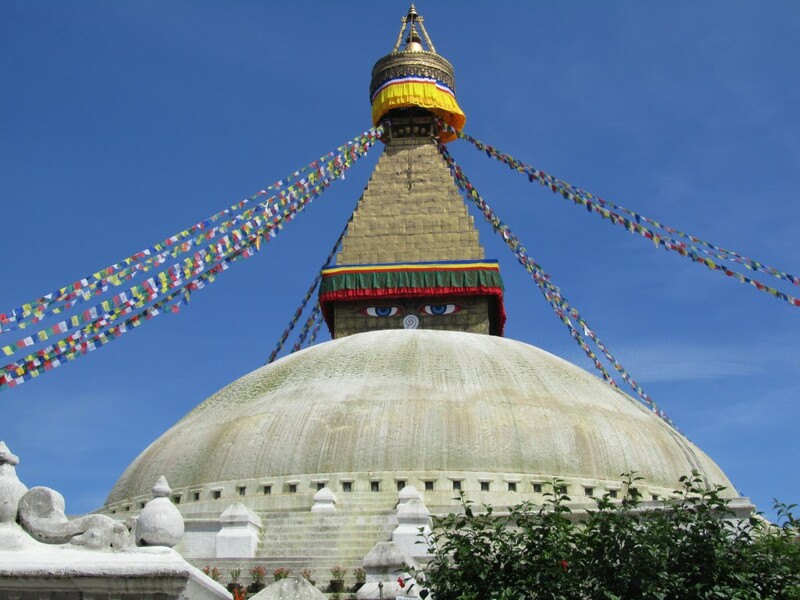 It is a 2500 years old Buddhist stupa located at a top of green hillock with the eyes of Buddha painted on its pinnacle overlooking righteous behaviour of the valley inhabitants. Meals: Breakfast. 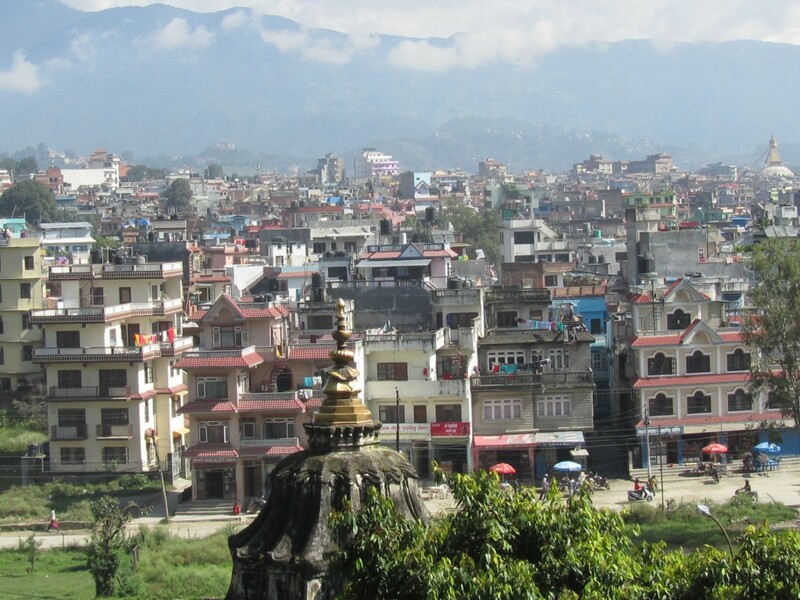 Morning visit Patan city, which is also known as Lalitpur or the “city of beauty”. 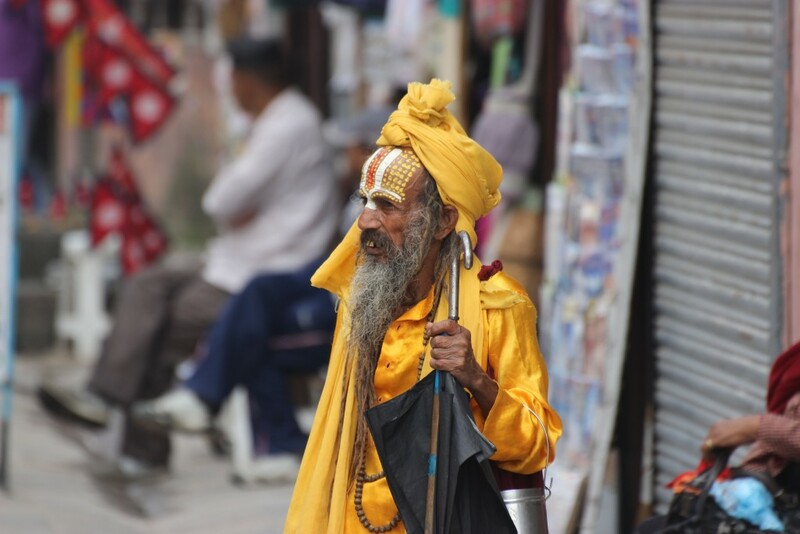 Patan is well known for its intricately carved temples, narrow lanes and quaint shops. 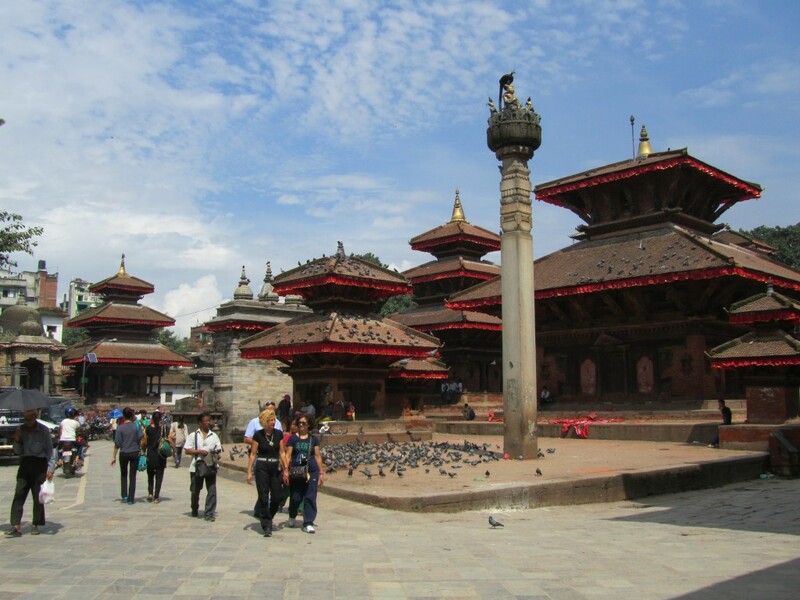 See the intricately stone-carved Krishna temple, Patan Durbar Square and Hiranyavarna Mahavihar (golden temple). 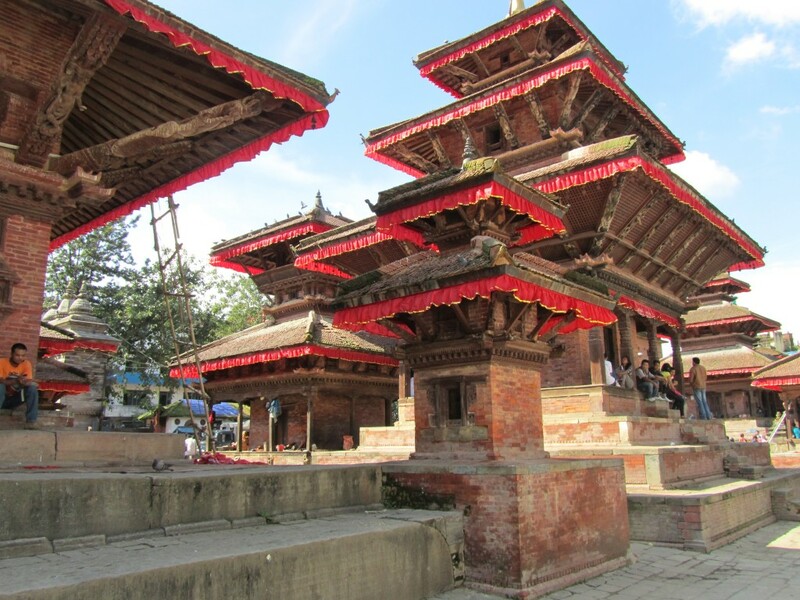 Bungamati is a classic Newari village dating from the 16th century. 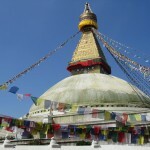 It sits atop a spur above the Bagmati river. 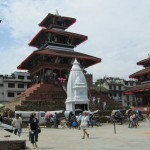 In the centre of the lively village square is the large Rato Machhendranath Temple, a shikara-style temple rather than a pagoda. 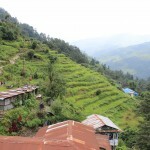 Bungamati is a pleasant traditional Newari village that dates to the 16th century. 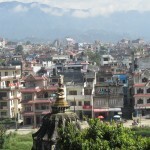 It overlooks the Bagmati River. The streets are too thin for vehicle traffic. 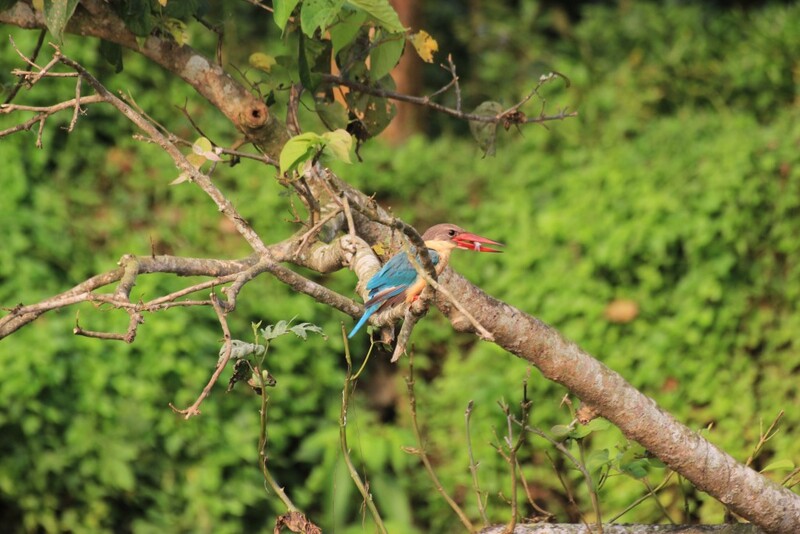 Khokana is another Newari village, a short walk across the paddy fields from Bungamati Nepal is with little towns and villages which are seldom visited by tourists. 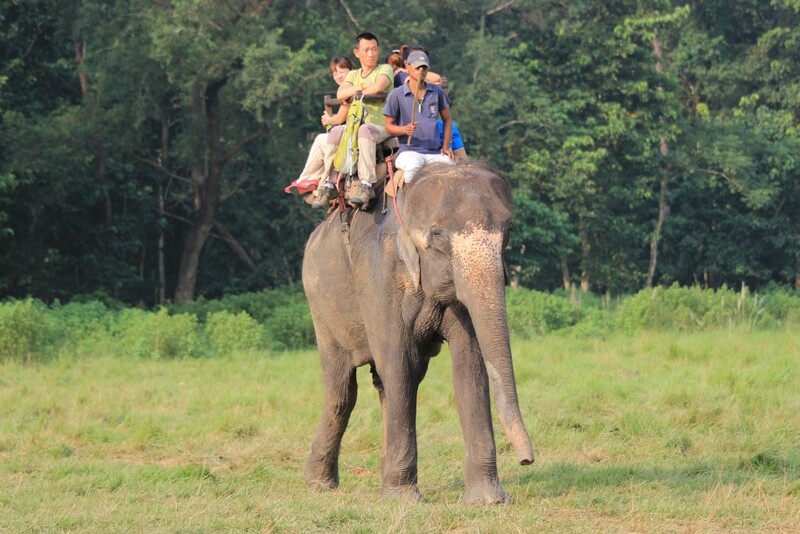 Those who visit Nepal for the sheer experience of learning more about the lives and cultures of the local peoples will usually enjoy visiting even the simplest little farming village and getting to know the local inhabitants better. 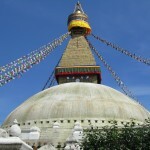 Khokana is a simple place, but it is filled with life, history and culture. If you have a real appreciation for such things, this little village is definitely worth a visit. Later drive back to Kathmandu and check-in at your hotel. Meals: Breakfast . 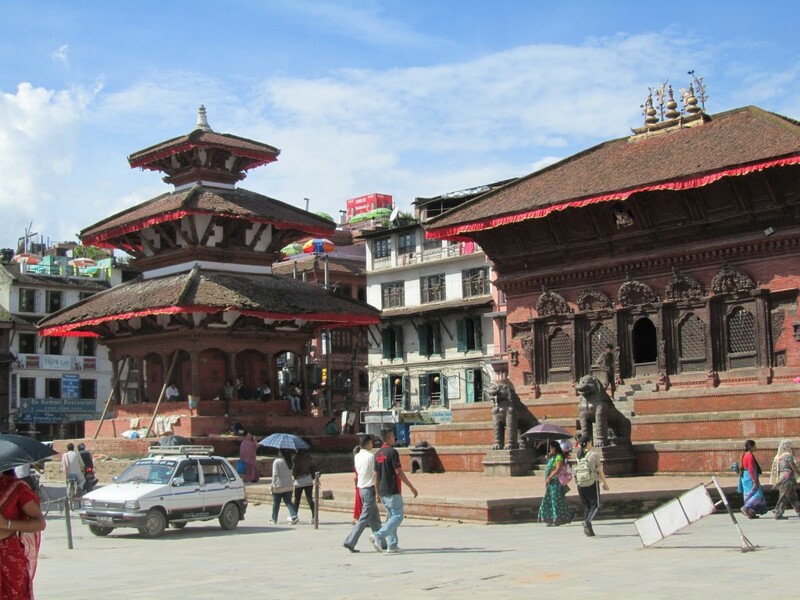 After breakfast, drive 14km east to Bhaktapur, the “city of devotees”, the home of medieval art and architecture and a classic showcase of medieval Nepalese town life. 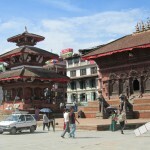 A city of farmers, Bhaktapur is also known for it’s pottery and weaving. 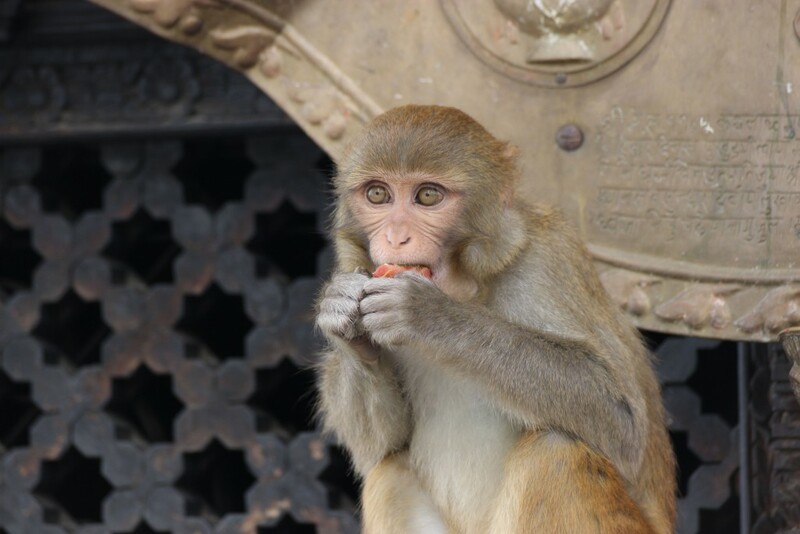 The intricately carved temples, alleyways and timeless atmosphere of this place is simply intriguing. 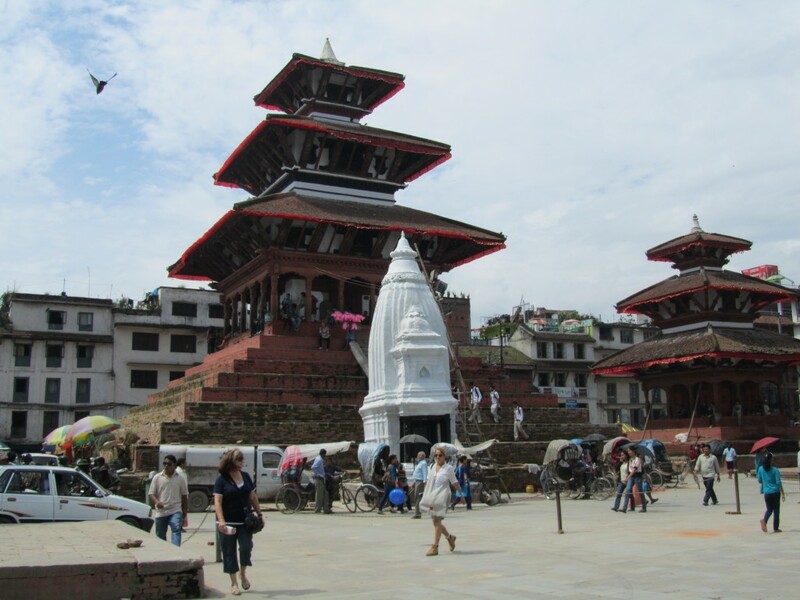 The major sightseeing places in Bhaktapur include Durbar Square, the Golden Gate, Palace of 55 windows, Bell of the barking dogs, Nyatapole Temple, Bhairavnath temple etc. 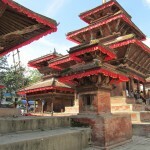 Changu Narayan Temple, the oldest temple in Kathmandu valley came in existence in 4th century. 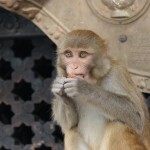 The temple is adorned by some of the best specimen of stone, wood, and metal craft in the valley. 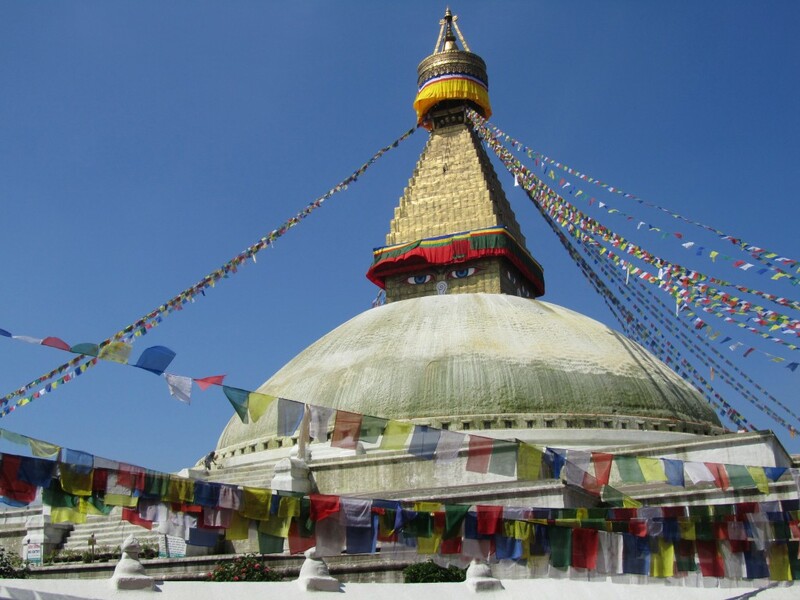 The temple stands as the epitome of culture, religion, history and faith of the Kathmandu valley. 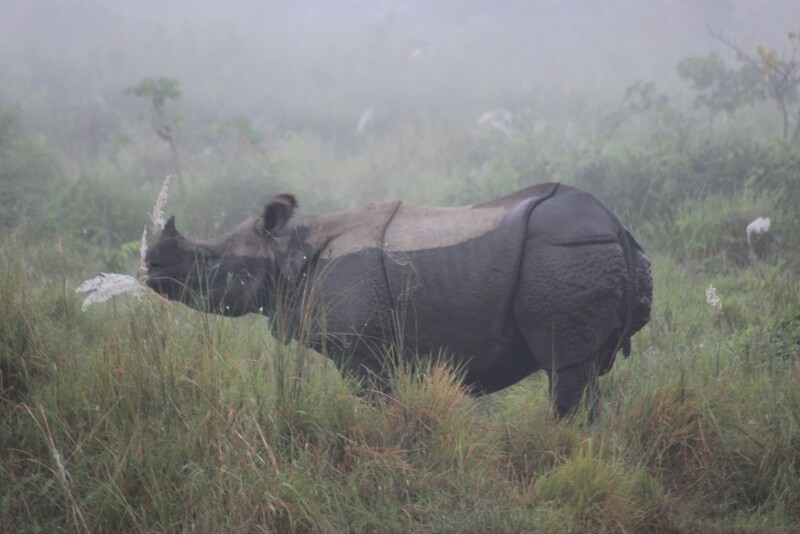 Later continue drive to Nagarkote which is located 32 kilometers east of Kathmandu, and one of the most scenic spots in Bhaktapur district and is renowned for its spectacular sunrise view of the Himalayas when the weather is clear. 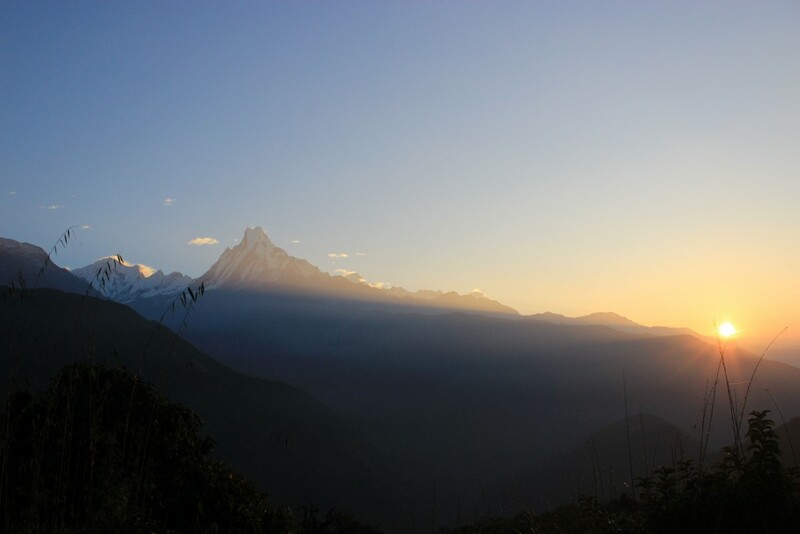 Visitors often travel to Nagarkote from Kathmandu to spend the night so that they can be there for the breathtaking sunrise. 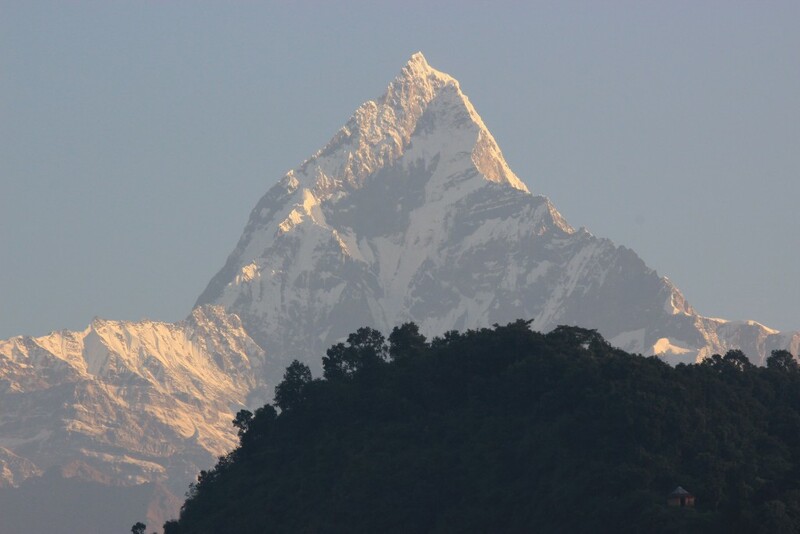 Nagarkote has become famous as one of the best spots to view Mount Everest as well as other snow-topped peaks of the Himalayan range of eastern Nepal. Meals: Breakfast. 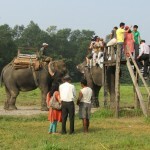 After early breakfast drive to Chitwan. 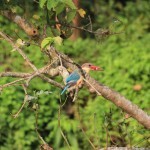 Upon reaching the jungle lodge, get refreshed and lunch will be served. 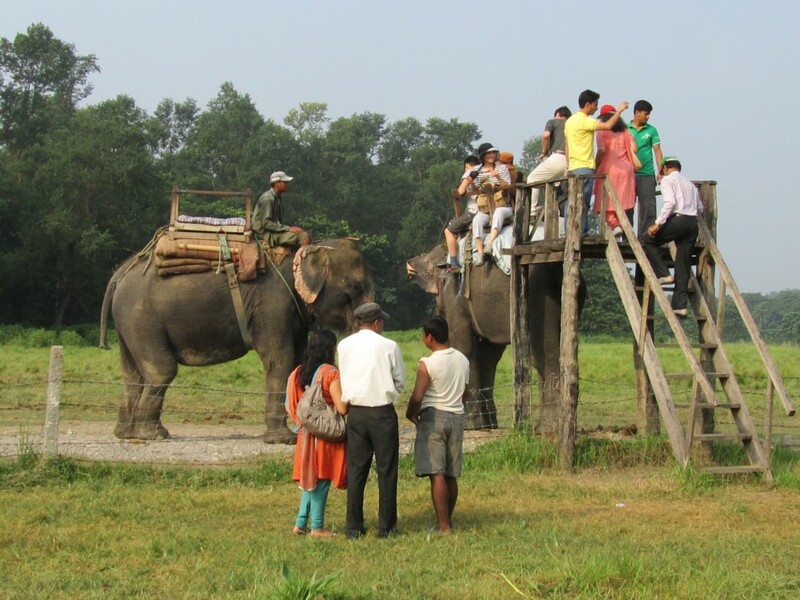 Afternoon elephant back safari or Nature walk through the Chitwan National Park. Meals: Breakfast, Lunch and Dinner. 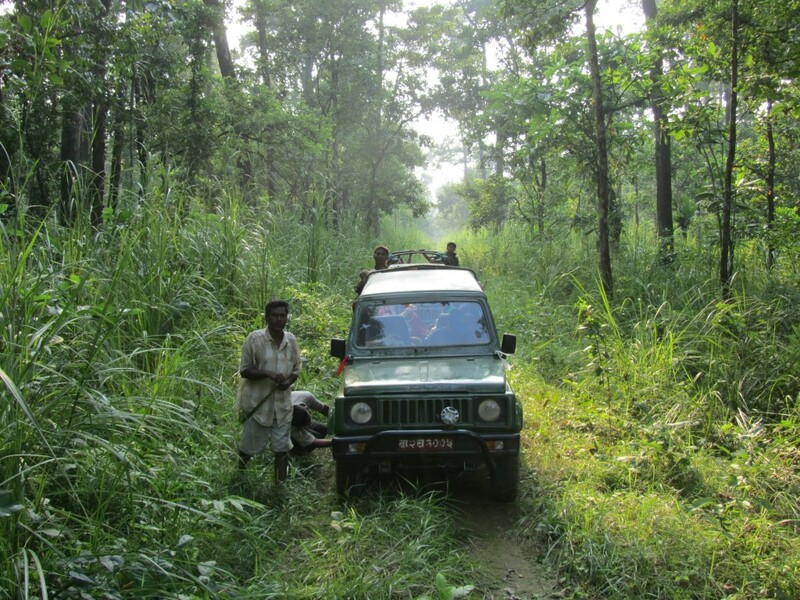 Full day of jungle activities like canoe ride, Tharu tribal village visit etc. Meals: Breakfast, Lunch and Dinner. 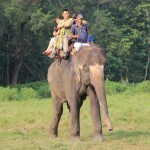 Overnight stay at Hotel in Chitwan. Morning, drive along a scenic mountain highway to Pokhara valley, famous for views of snow clad mountain peaks, lush green vegetation and its spring fed lakes. 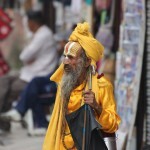 In Pokhara commence on a sightseeing tour of Pokhara city and its colorful bazaars. 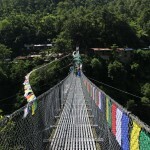 Visit includes Bindvabashini temple, Devis falls, Seti Gorge, Phewa lake side visit. 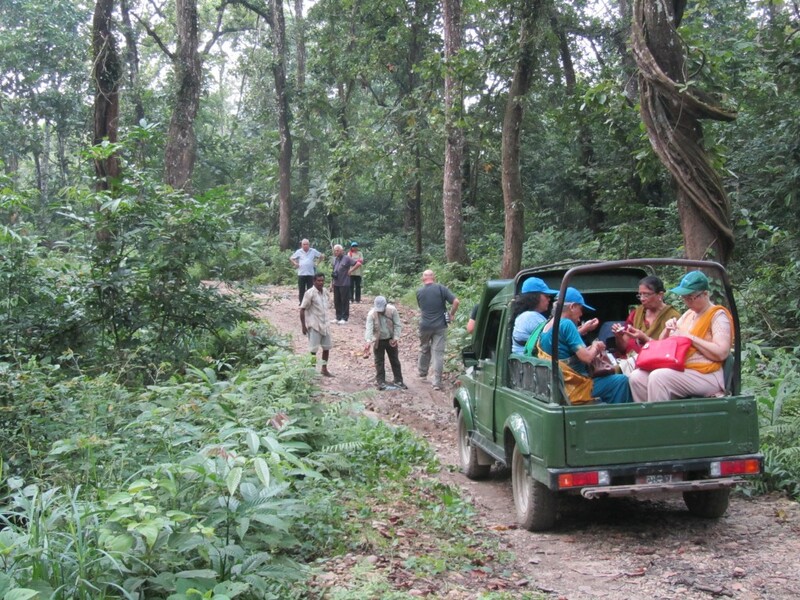 Later continue drive to Begnas lake and take a boat ride of 25minutes to check-in at the resort. Meals: Breakfast. Overnight stay at Hotel in Pokhara. 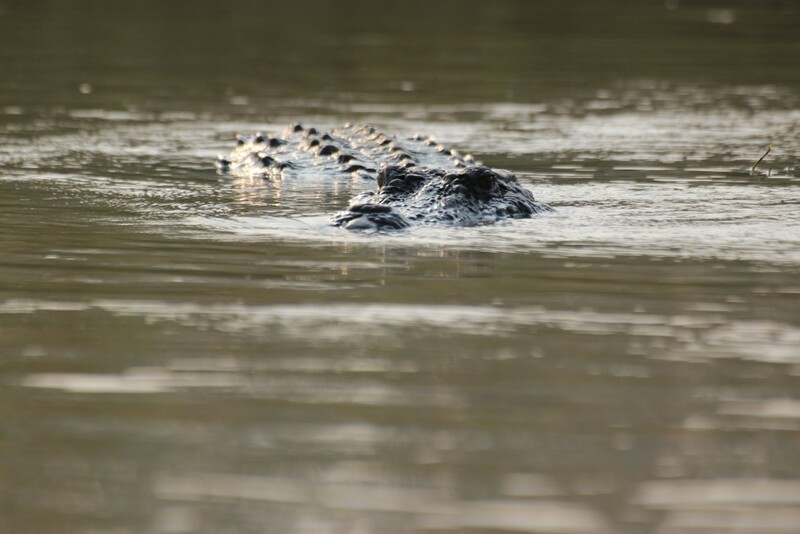 This day is free to relax or you can even go on an optional day hike or to visit an ethnic village nearby. 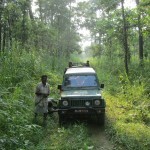 You may even try out various Ayurveda treatments (optional). Meals: Breakfast. 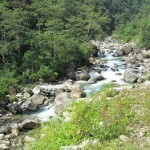 Today Enjoy white water rafting Enroute at Trishuli River. Lunch will be provided in between the rafting trip. 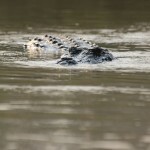 The total duration of rafting will be about 3 hours. 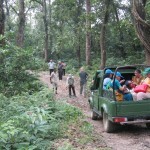 Evening meeting with trekking guide to discuss on the trek starting following day. Meals: Breakfast and Lunch . 07:00 hrs -> Breakfast in the Hotel. 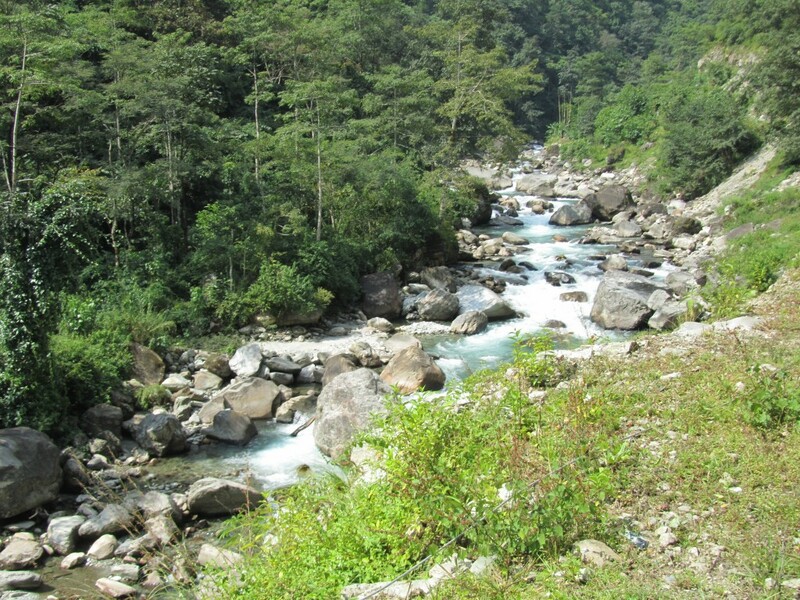 08:00 hrs -> Check out- Drive from Pokhara to Nayapul, 42 km then trek start from Nayapul (1050m) to Birethanti for 25 min trek then you will cross Modi River. From here take left turn following all the way to Burundi Khola to Ramghai/Hille for 2 Hrs where you will have lunch and after lunch from Ramghai about 1 and half hour and from hille about 30 min to Tirkhedhunga (1577m.) 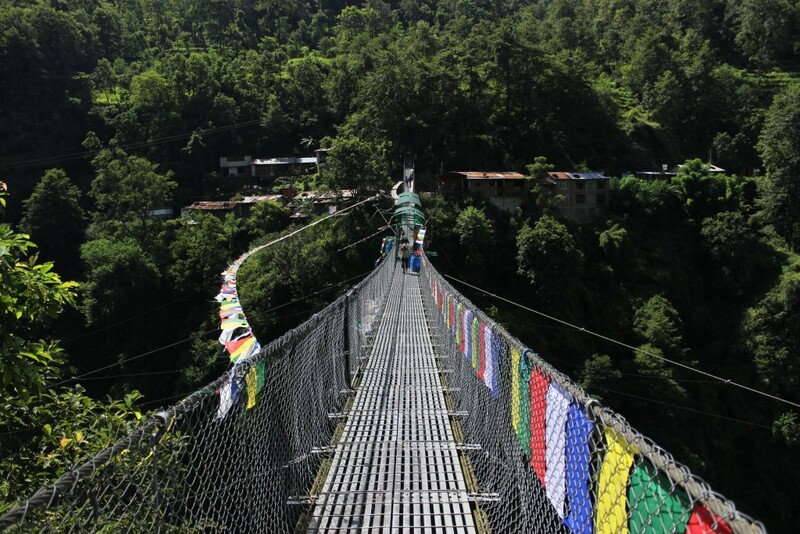 a small gurung village and from here cross the hanging bridge and trek one and half hrs up to Ulleri (2073m.). Ulleri is a small gurung village from where you will see the mountain of Annapurna South (7219m.) 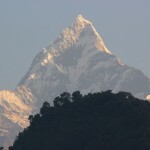 and Himchhuli (6441m.). Breakfast, Lunch and Dinner Included. From Ulleri village after breakfast start trek to Banthanti for 45min (Village before the forest starts 2350m.) and from Banthanti another one and half hrs gentle trek for Nangethanti (2550m.-Lunch place). Here you will walk inside of Oak and rhododendron forest. After lunch another one hour and 20 min for Ghorepani (2874m.) 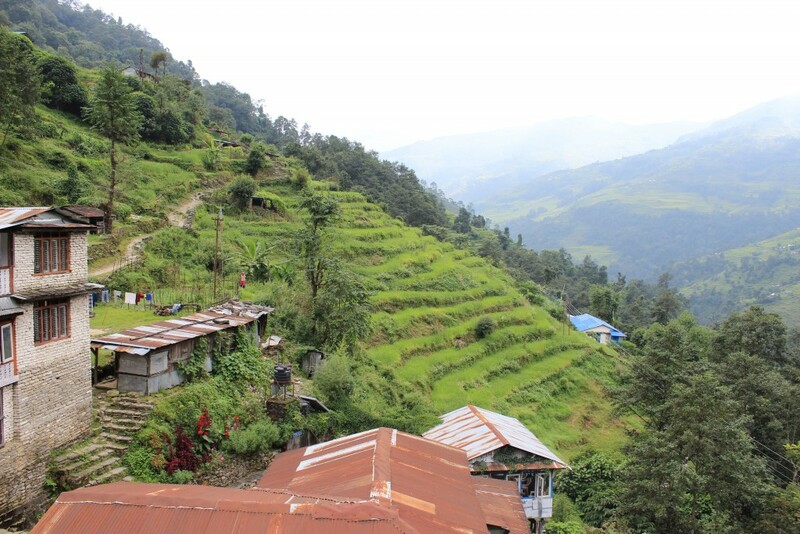 A beautiful Magar village from where you will see the range of Dhaulagiri and Annapurna ranges. Breakfast, Lunch and Dinner Included. 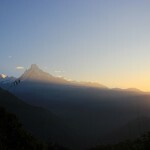 Early in the morning before breakfast we start our sunrise trip to Poonhill (3210m/ 45min walk) Poonhill is a popular view point in Annapurna Ranges from where we can see the Mountain as: Dhaulagiri I-8167m., Tukuche Peak-6920m., Dhampus Peak-6012m., Nilgiri-7061m., Annapurna I-8091m., Annapurna South-7219m., Himchhuli-6441m., Fishtail-6997m., Annapurna II-7937m., Lumjung Himal-6920m., Manaslu-8163m., and many more.. After sunrise trip return Ghorepani. 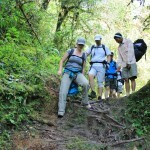 After breakfast start trek to Deurali for one and half hour up and gentle walk from the ridge. After Deurali another one and half-hour gentle downhill to Banthanti for Lunch. After lunch one and half hour very nice gentle up and down to Tadapani Village (2660m.) 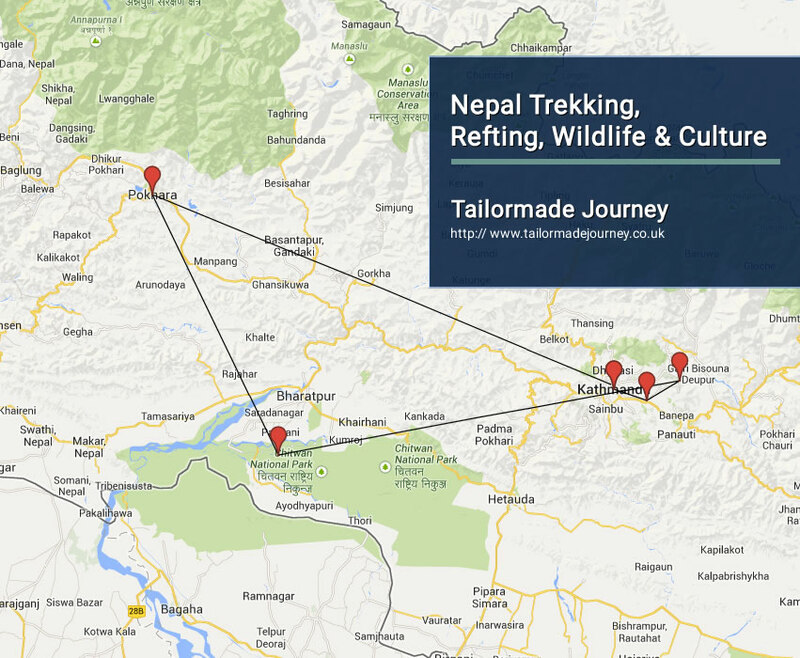 From Tadapani we continue walk for another 45 minutes to Bhaisekharka and another 2 hours to Ghandruk (1952 m). Ghandruk is a beautiful Gurung village from where you will get the Mountain view of ; Annapurna South-7219m., Himchhuli-6441m., Fishtail-6997m., Mardi Himal etc. Breakfast, Lunch and Dinner Included. 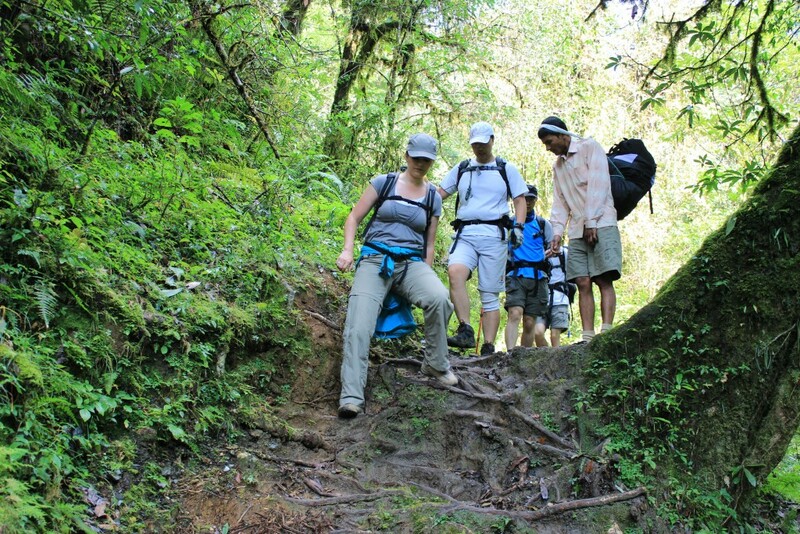 Today you will start your trek after breakfast from Ghandruk which takes about 2 and half hours for Sauli Bazar down and flat walk and from Saulibazar another one and half hours easy and flat walk from corner of Modi Khola to Birethanti for lunch. After lunch trek 25 min for Nayapool and drive back to Pokhara Airport to board flight for Kathmandu. 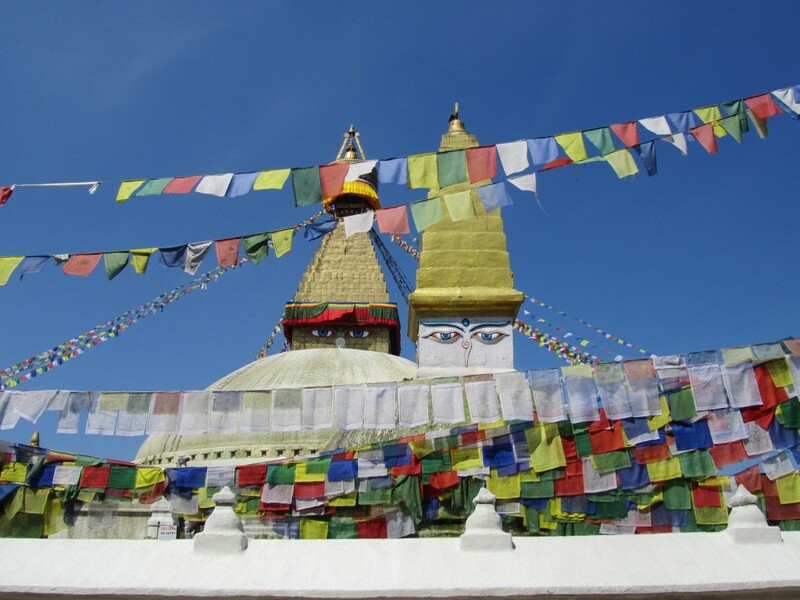 Upon arrival in Kathmandu Airport you are met and transferred to your pre booked Hotel Rest of the day at leisure Meals: Breakfast and Lunch.